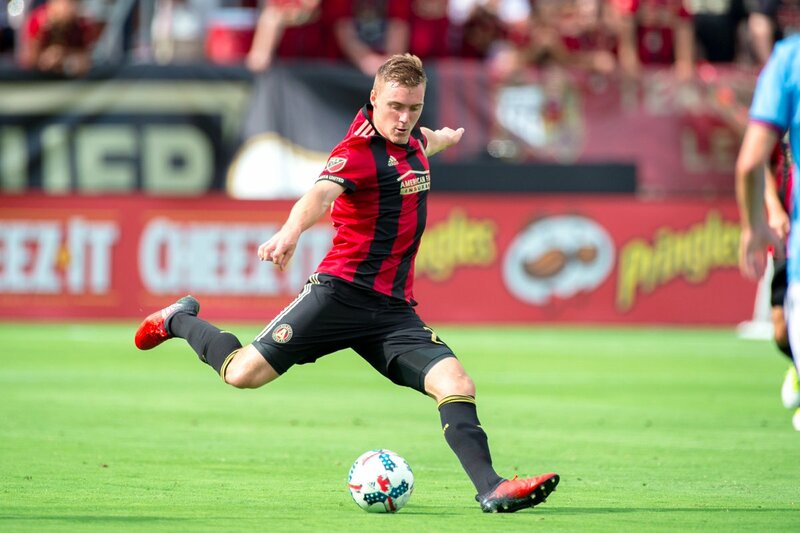 BlastingNews — The 23-year-old midfielder Julian Gressel opened his Major League Soccer goal account on 14th May in Atlanta United’s 1-1 stalemate with Portland Timbers at the Providence Park. Afterwards, the German followed that up with one of Atlanta’s four goal tallies in their home victory over Houston Dynamo six days later. The youngster switched into the role of a ball provider in their emphatic triumph over New York City FC, setting up two assists in their 3-0 home win. The German’s fantastic month of May was bounds and leaps better than Kortne Ford and Jack Elliot, who were among the impressive rookies in the month, but no one apparently touched the output and impact of Julian Gressel. Julian Gressel was named the rookie of the month for May in what was a stellar group of games for the former Friar. Gressel has become an assist machine as of late, reaching a streak of 4 straight games with an assist before Atlanta was blanked last night by the Chicago Fire. With his 5 assists on the year, Gressel is tied for 12th in all of Major League Soccer so far on the season and leading all rookies as well. This quote from Gressel is exactly what you want to see from a player in his first year in the League. Fox Sports also came out with an article detailing his assist-happy role for Atlanta United FC. Gressel has been finding his groove and finding his teammates as well. With the last game against the Chicago Fire, Gressel got to play against one of his childhood idols, German legend Bastian Schweinsteiger. Great win yesterday against a strong team! Julian had recently talked about having the opportunity to play against Schweinsteiger (man, that is a rough name to keep spelling) and hopefully he was able to swap for that jersey after the game. I’m sure that one would be going up on the wall if he was able to nab it. Gressel likened the German footballer’s status in amongst the Germans to Kobe Bryant for the US, which is pretty high praise to give out.